Escape to a haven of pure relaxation and luxurious comfort at Era Beach by Jetwing. 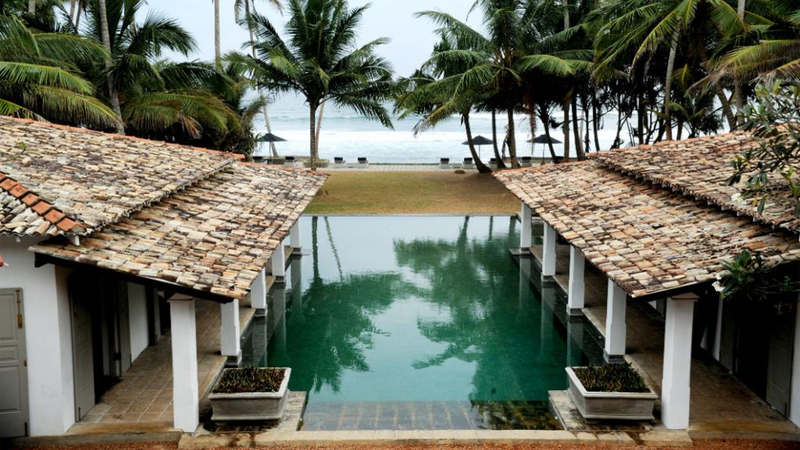 This unique hotel is beautifully set along a stretch of pristine golden sand, just south of Galle. Breathe in the fresh scent of the ocean spray and soothe your soul with the rhythmic sounds of the waves. This is a place to completely unwind and wash away any stress or tension. The design of the hotel has a Dutch influence, giving a glimpse of the historic past of the area. 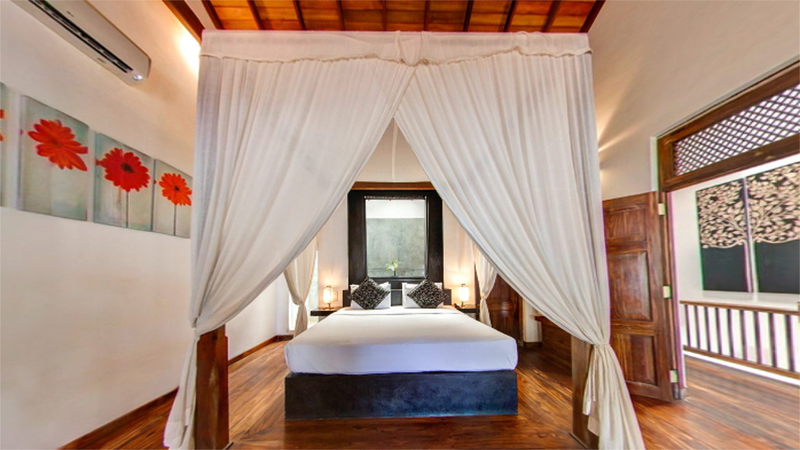 Seven exquisite rooms are available, each boasting their own character with fine furnishings and heavenly bathrooms. Every detail is given to service here, with individual dining arrangements available for special occasions. Enjoy a romantic beach dinner under the stars, or breakfast on your own private terrace. It’s possible to organise a wide variety of Sri Lankan adventures from Era Beach, including wildlife watching, cultural excursions and many more. If you’re looking for a truly peaceful getaway in a secluded paradise, Era Beach could be just what you need. Era Beach by Jetwing is set on a beautiful sandy beach. 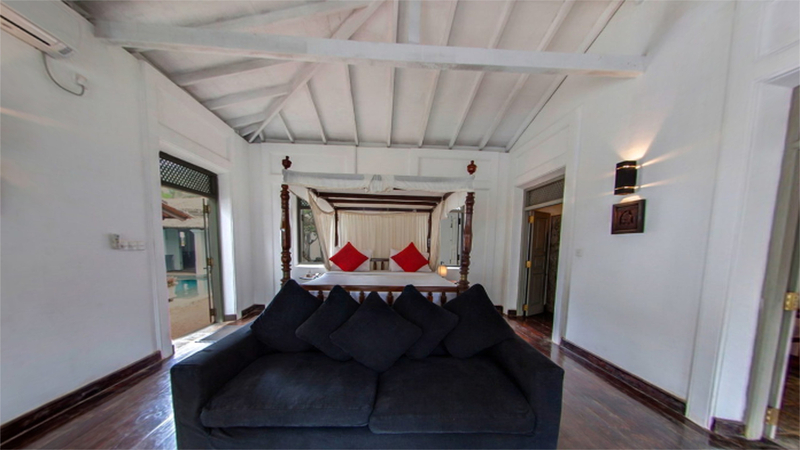 The historic city of Galle is just 10km from the hotel and is a must see during your stay. There’s also a selection of restaurants in the area around Era Beach, with the nearest being about 350m away. Talpe Railway station is approximately 700m away from the hotel. Colombo’s Bandaranaike International Airport is approximately 160km from Era Beach. It’s possible to reach the hotel in an hour and a half on the highway. If you have more time, it’s highly recommended to take the scenic coastal route, which takes about three and a half hours. Wake up every morning to an exhilarating view of the Indian Ocean. There are 4 spacious Sea View Suites available at Era Beach, designed in an elegant style with exquisite detail. A highlight of these suites is the large balcony that overlooks the turquoise waters. It’s the perfect place to sit back at the end of a beautiful day, and watch one of Sri Lanka’s glorious sunsets. Stay amongst the vibrant greens of the tropical garden, and feel revitalised by its natural beauty. There’s extensive space including a large private courtyard for you to stretch out and relax during your stay at Era Beach. The luxurious bathroom includes a rain shower. The elegantly designed Lobby Room offers a tranquil haven for a really relaxing stay at Era Beach. Situated on the ground floor, it has easy access for anyone with reduced mobility. Featuring all the luxurious details that are characteristic of this hotel, the bathroom is particularly spacious for your comfort. Enjoy mealtimes in the beautiful dining room, with the exceptional service of Era Beach Hotel’s attentive staff. Chefs create an irresistible menu influenced by Asian and European cuisines, using locally sourced fresh produce. For a lighter bite, there’s tapas style choices available in the bar area. At Era Beach by Jetwing, you can pick your favourite place to dine together. Whether you prefer to eat under the stars on the sandy shore, by the pool, or in the exotic garden there’s a wide variety of options available.